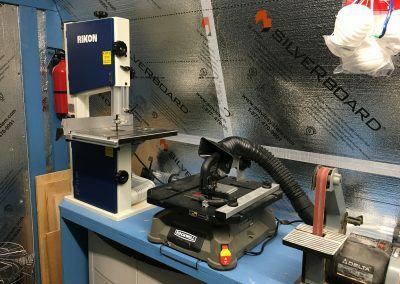 After a number of years of fighting with a cheap 9″ bandsaw and growing increasingly frustrated with the quality and shortcomings we began the search for a replacement. As we have a smaller shop and a limited budget the search became rather difficult due to limited selection in this size category. 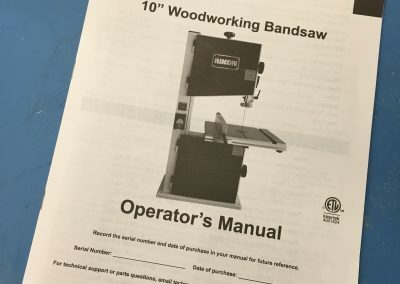 Either the saws are lower end and cheaply made, like what we already had, or are much larger 14″ or bigger and outside the budget and too large. 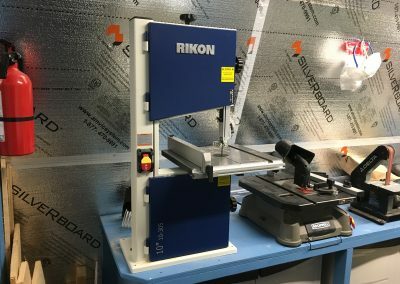 From reading a number of reviews and going over specs the Rikon Model 10-305 seemed to be one of the few that fell into our window, and was also locally available from Lee Valley Tools. 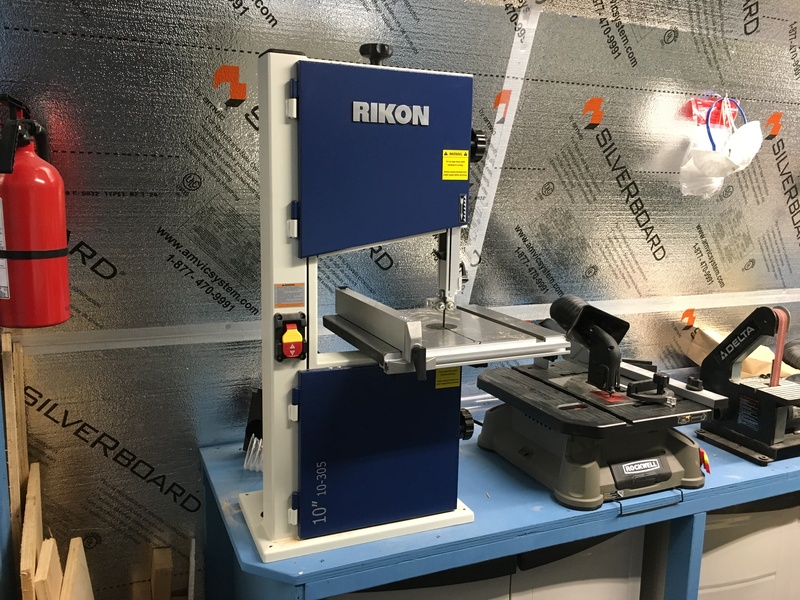 Some have stated that the Craftsman 21400 is basically the same saw at a slightly lower price, however this was not available to us so the Rikon was our primary choice. Blade Speed 2780’/ min. 2950’/min. Dust Port 2-1/4″ I.D./ 2-1/2″ O.D. 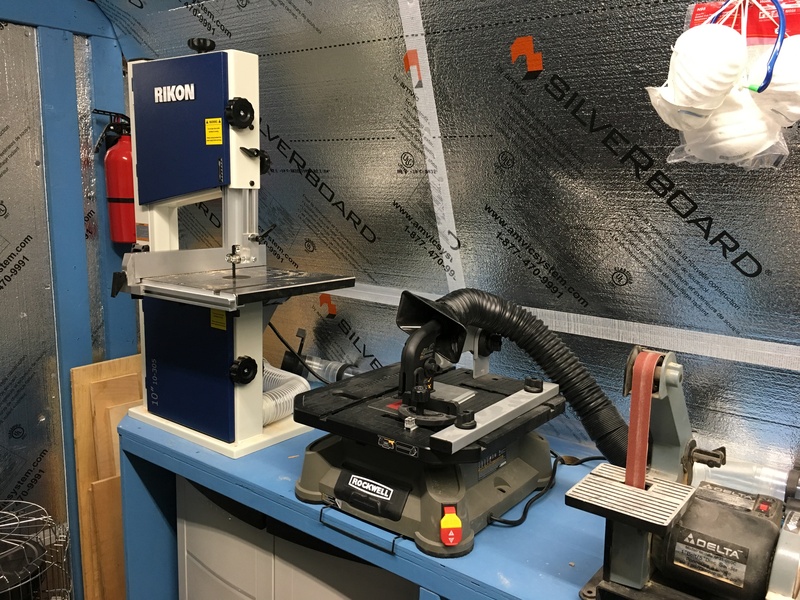 Being able to source the bandsaw locally was a major plus in terms of shipping due to the weight of this unit, and also in the event of any issues where it would be much easier to deal with a local reseller. While the local Lee Valley store did not have one on display, which we suggested they should, we were was able to look at the larger 14″ model to get a sense for the general build quality of the Rikon products, which was impressive. 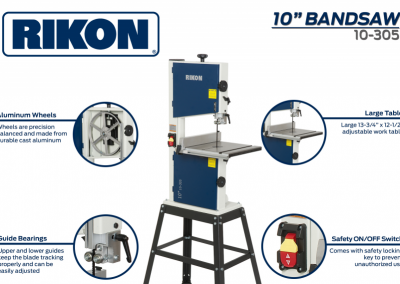 Rikon makes some very nice tools, that are a nice mix of heavy duty construction and looks but still affordable compared to higher end brands and a few steps above the Chinese lines. 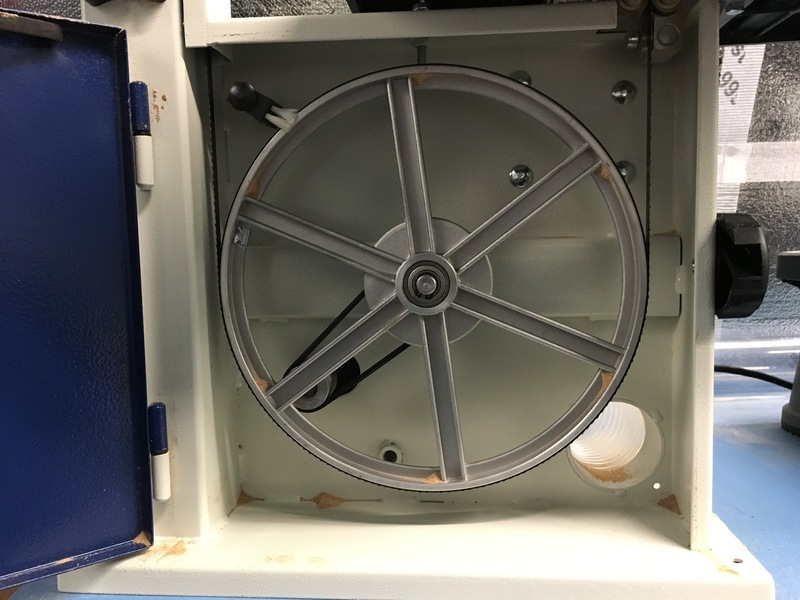 It comes with a 5 year warranty from the manufacturer, which is much longer than most. The 10-305 was purchased for $370CAD from the Halifax Lee Valley, the last one they had in stock so we got lucky with our timing. 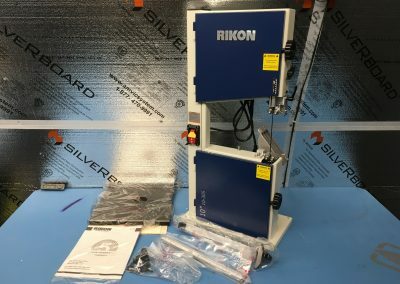 First impression even before unboxing, this is a heavy unit, which is a good thing! The box comes in at 76lbs, and is 35 1/2″ X 12 3/4″ X 18 1/4″ so a bit awkward to handle by one person but doable. 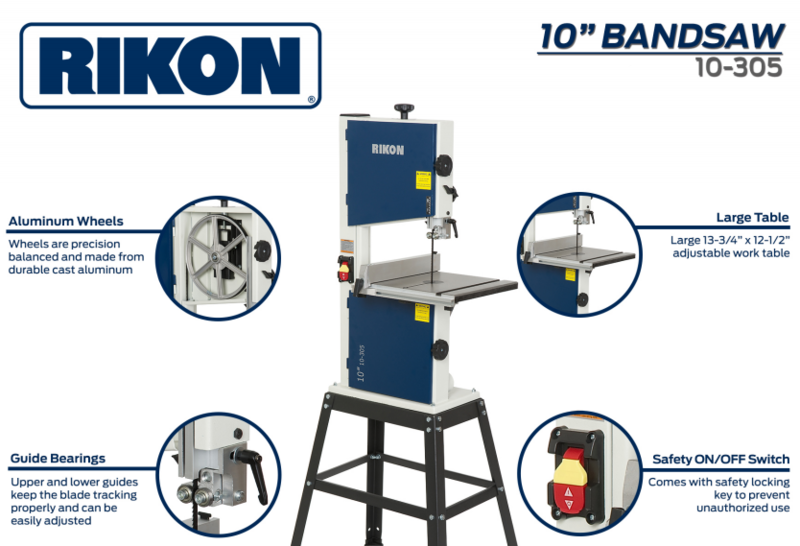 While not ideal for portability yet can still be moved around the shop if needed by one person, the saw is very heavily made with a welded steel frame and a very heavy cast iron table, which makes up a large portion of the overall weight. 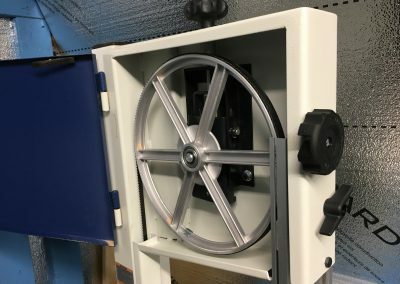 It is all steel and aluminum constructed with very limited plastic items for the knobs, which all leads to a solid overall tool. 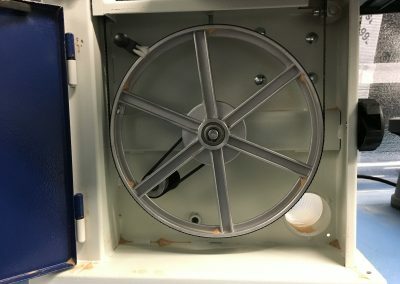 The saw has a nice industrial design & look with a clean two tone paint job making for easy cleaning, a far cry from the plastic cheaper look of lesser units. 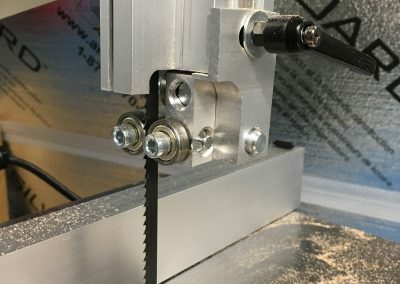 Assembly of the components is very straight forward with basically just the need to bolt on the table and guide rails. The table comes coated in protective oil so needs to be cleaned off before use. 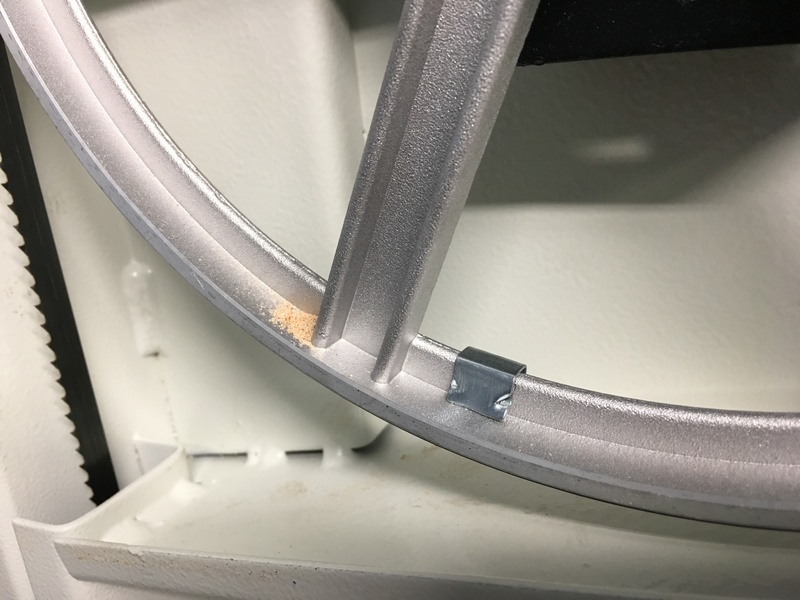 A non oil based anti corrosion spray or similar should be applied to prevent future corrosion once it is cleaned. 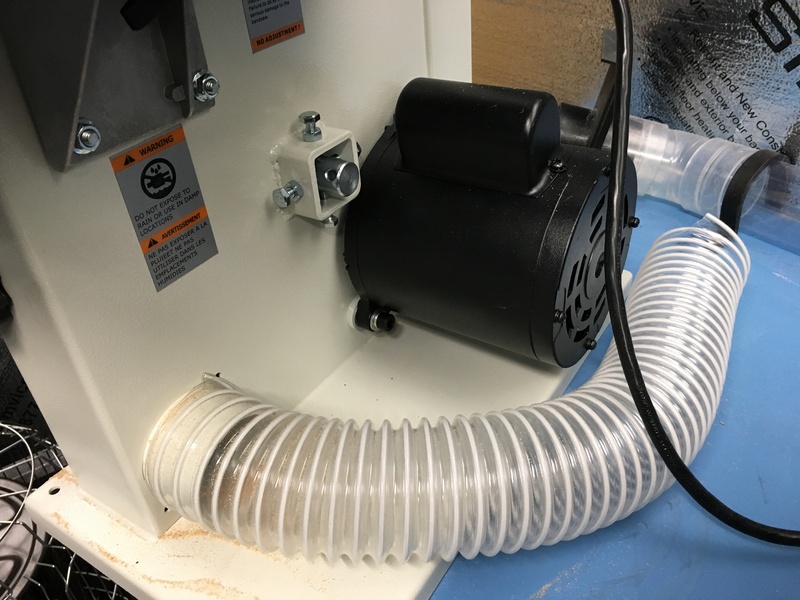 With only a single speed 1/3 HP motor it is by no means a power house, but for most hobby and smaller projects it should be more than up to the task for the range it is in, and claims to be able to handled up to 3″ walnut with a resaw height of 4-5/8″ and a width capacity of 9 5/8″. 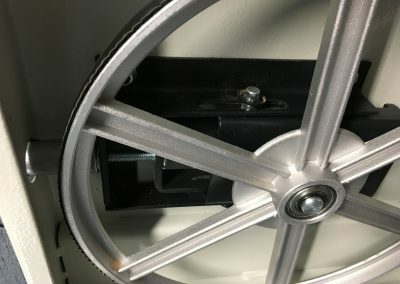 The aluminum wheels come pre-balanced, which was one of the main issues on our old saw, it vibrated from unbalanced cheaply cast wheels. 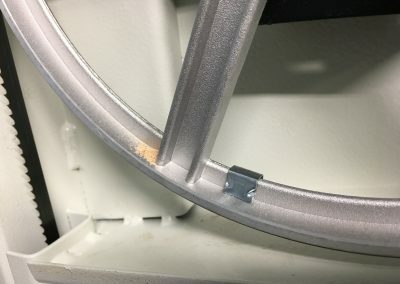 A small brush on top of the wheel cleans off the saw-dust. 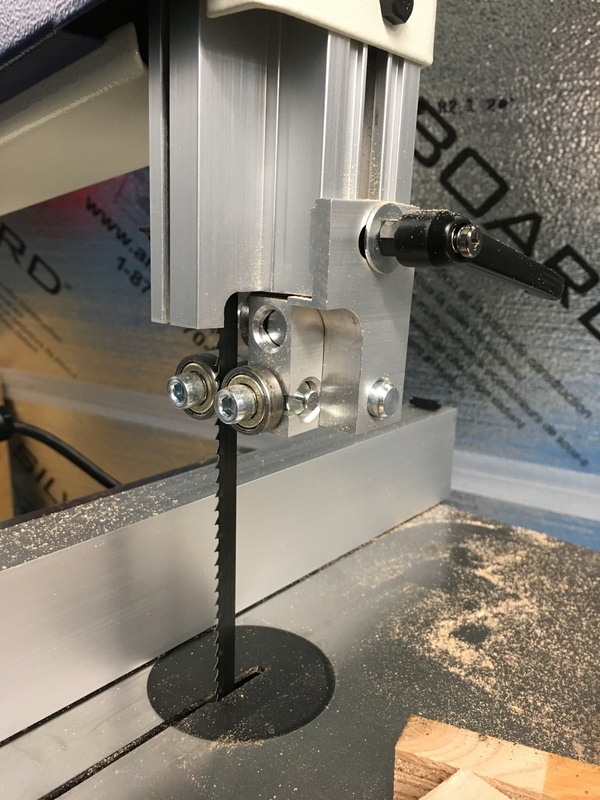 It has upper and lower guide bearing that are fairly easy to adjust for proper fit to the blade with included allen key. It also features a 2 1/2″ dust collection port which should fit most shop systems, and easily connected into ours. 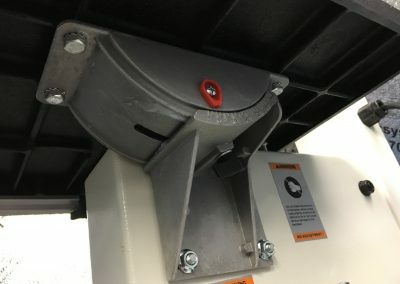 The guide post is easily adjustable with a rack and pinion mechanism and a locking screw. While we have read other reviews that have complained about the design of the fence, which is similar clamp on style to many table saws in the lower end class, we found it to be well made and fit and tightens on well, and at 2″ high is a decent size for a saw in this size class. 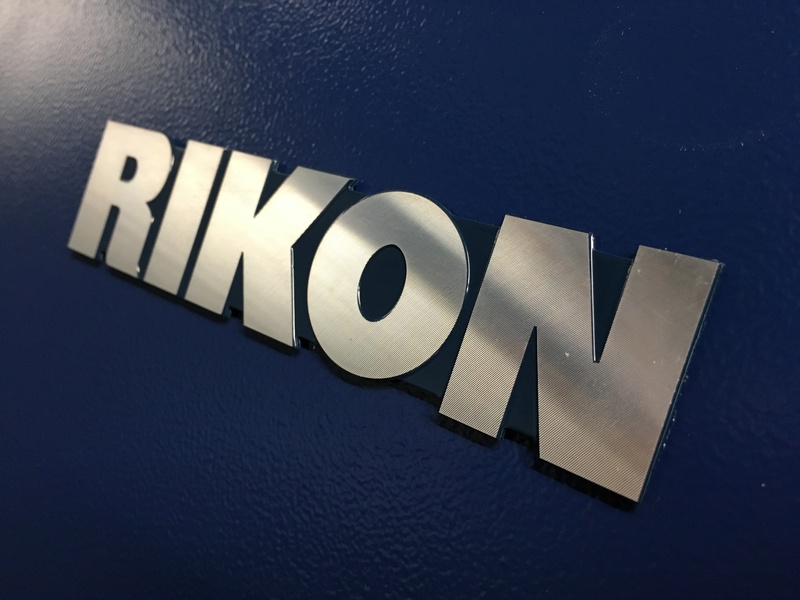 While not up to the level of the fence on the 14″ Rikon, it seems like it should get the job done for most use. 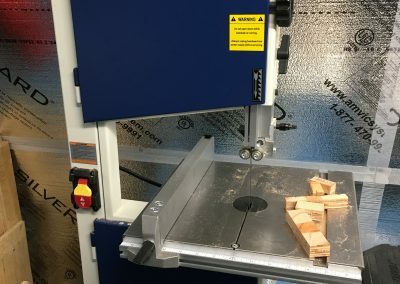 The bandsaw uses 70 1/2″ blades, which seems to be a bit non standard from our limited experience, but comes with a general purpose 1/4″ 6TPI blade, which seemed to work well on 3/4″ plywood in our first quick test cuts. 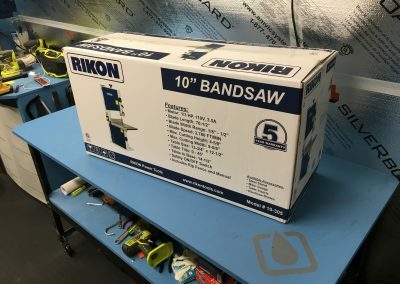 Lee Valley does carry additional sized blades for the Rikon line of saws as well. 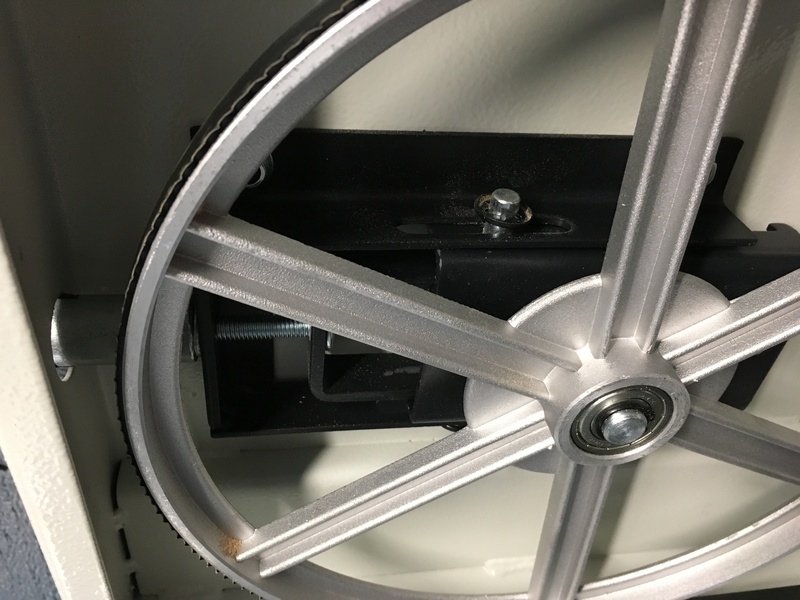 The easily opened access doors are nicely designed, and unlatch with a partial turn of the knobs. 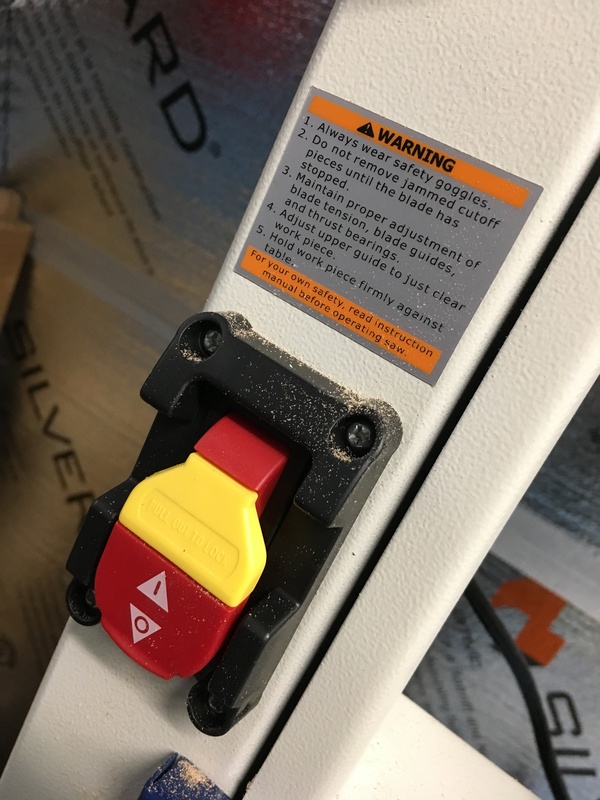 They feature a sprung tab to automagically pop them open and keeps them from vibrating when the saw is in use as they are always under slight tension. A small but well thought out design. 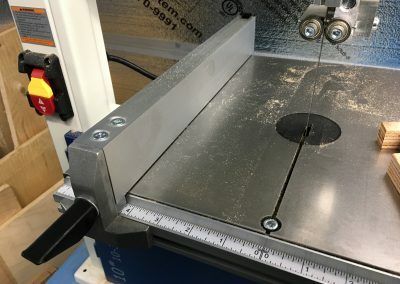 One item not included we would like to have seen is a miter gauge. 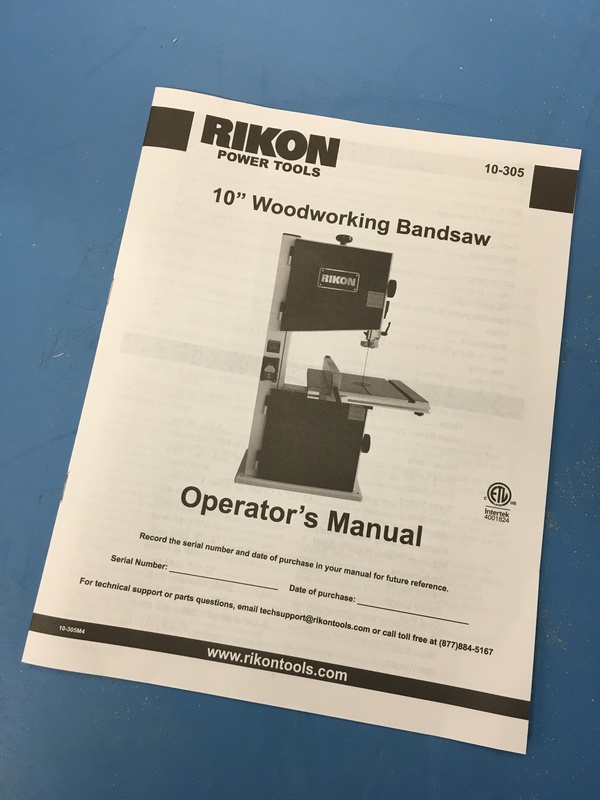 One is available for an additional $28CAD, but for the cost of the saw we think one could be included. 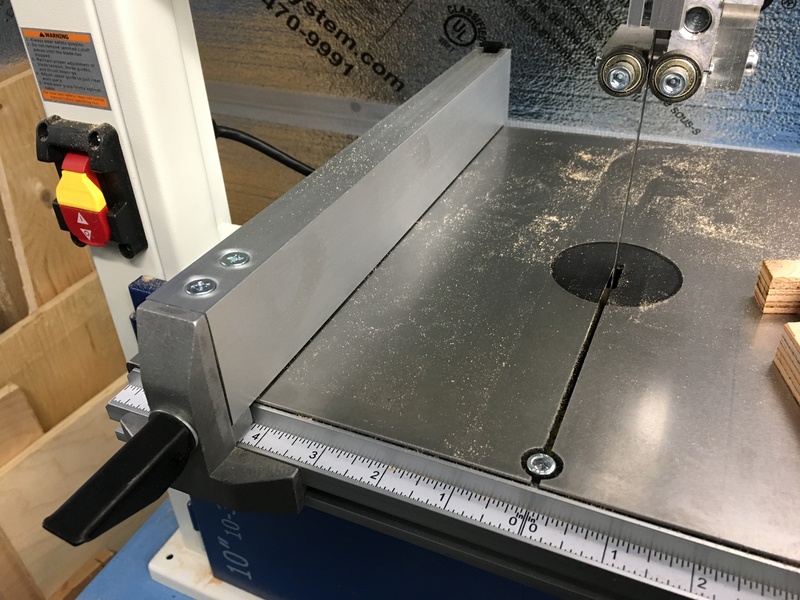 The gauge from our MasterCraft table-saw fit however, and will cover our needs. 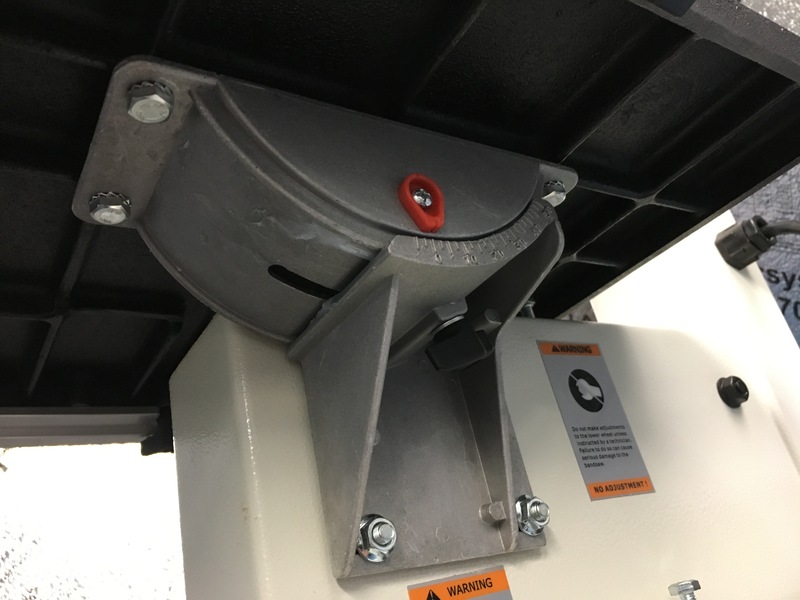 An optional stand is also available for $95CAD but we intend to keep ours bench mounted. 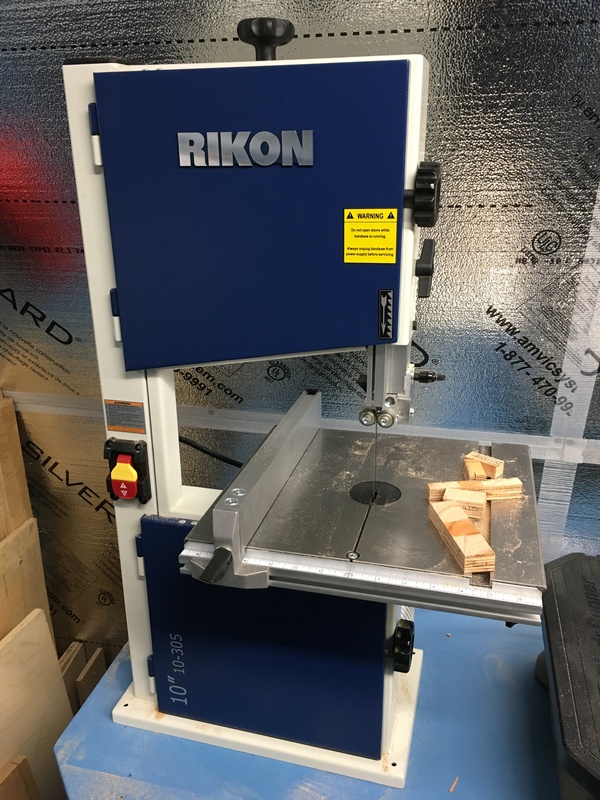 The 10-305 table does sit much higher than our older 9″ saw, so it may be a bit high for some people when directly bench mounted. Neither accessory however is stocked locally and Lee Valley, only available for online order. 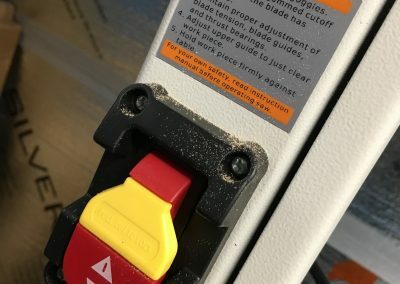 There is also no built-in work light either on the 10-305, which some other brands have, so you may want to add a 3rd party lighting solution for more directed illumination of the cutting area. 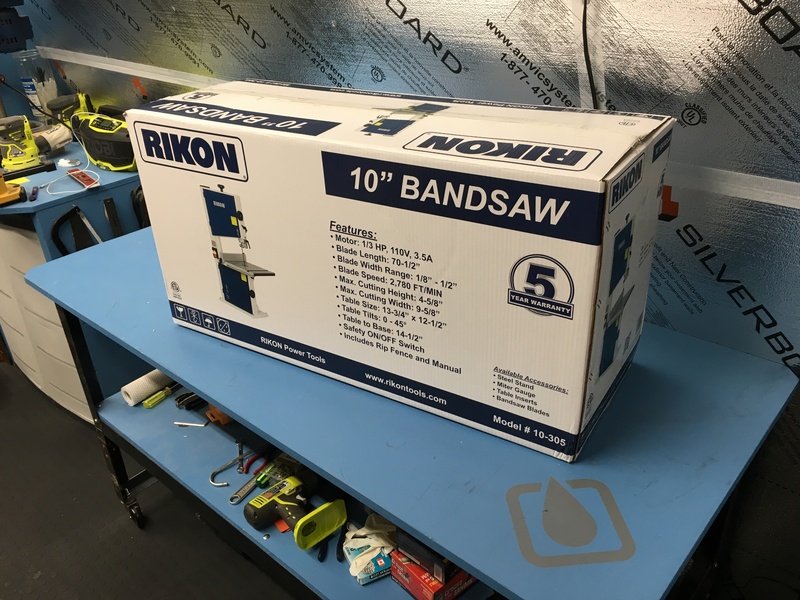 Overall first impression are very good, a huge step up from the cheap $150 bandsaws that most big box stores carry. 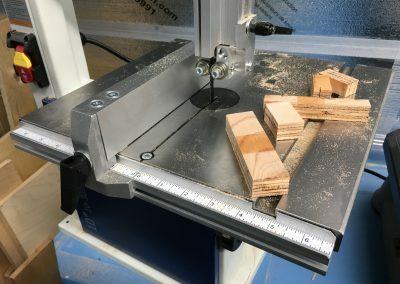 And given the moderate price and size it seems to fit in to a perfect area for advanced hobbyist/weekend/small shop use yet sturdy enough to handle more ongoing use for a side business or light commercial use. 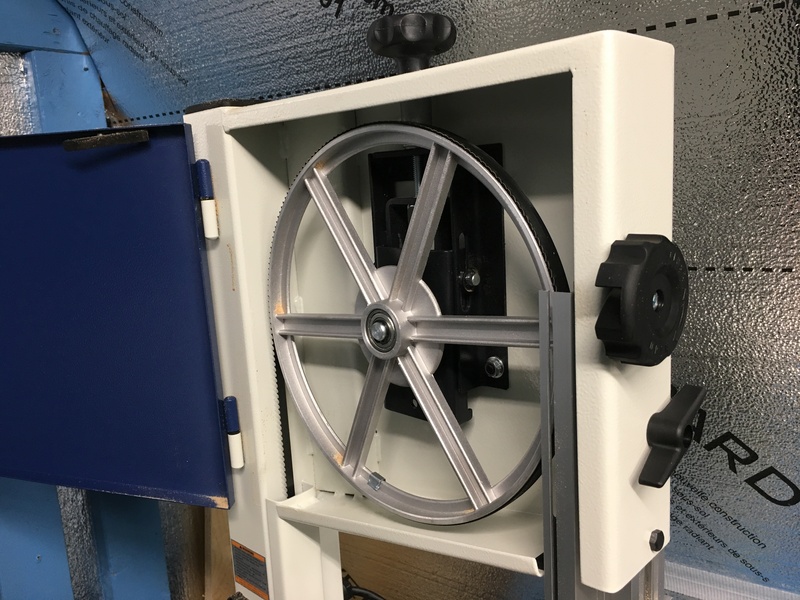 Time will tell how it holds up and our thoughts develop with some real world use in the months ahead, but as of now we would definitely give it a recommendation if you are in the need of a smaller sized reliable well made bandsaw.